Solving an inequality problem with a fraction is something that will require you to first simplify the expression. 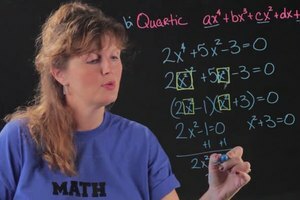 Solve an inequality problem with a fraction with help from an experienced math professional in this free video clip. 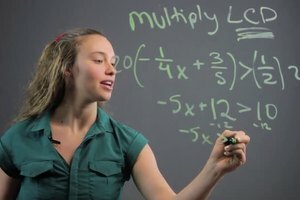 How to solve an inequality problem with a fraction? 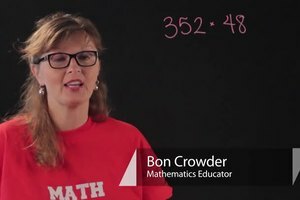 I'm Bon Crowder with MathFour.com, and we're going to talk about solving inequality problems that have fractions in them. So, we have one here and it's quite messy. So, first thing I want to notice, is that I have a three, a five and a two. And if I multiply those, I get 30. So, that's going to be one of my important numbers. Now, any time I have inequality or anything where I have two equals, two things that are equal. I can multiply both sides by the same thing, especially if I'm multiplying both sides by a positive number. So, that's what I'm going to do here. I'm going to multiply both sides by 30 over one. Notice, I'm stealing from this 30. So, I'm going to distribute my 30 over one and this one just multiplies. And what I end up getting is, 30 times negative five, over three-X plus 30 times four over five, is less than or equal to 30 over two. Doing some canceling out, 30 over three is ten. So, I have negative 50-X plus 30 over five, is six. So that's 24 and this is 30 over two, is 15. Now, it looks a whole lot nicer. So, I subtract my 24 from both sides and I get negative 50-X, is less than or equal to negative nine. Undoing the multiplication with division, as long as I undo it properly, my negative 50. And divide by negative 50 over here. So, I have X and as soon as I divide or multiply by a negative number, it turns everything over. So, I have to change this in inequality sign to point the other direction. So, I have nine over 50, and I can leave it like that or I can change it to point one eight, if I like. 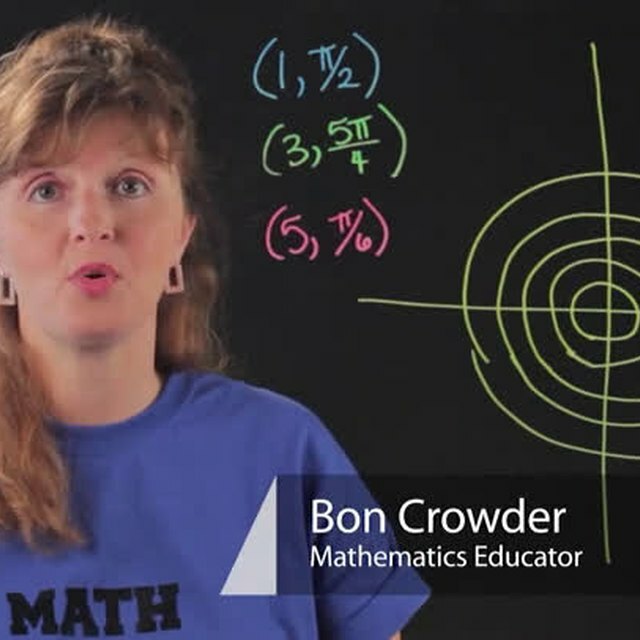 So that is how you solve an inequality problem with fractions. 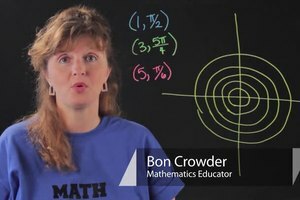 I'm Bon Crowder with MathFour.com, good luck.